received resources to keep learning. I will also share my journey into tech and provide insights into how you can build your career in tech with the community. This is to inspire you to make the same journey. Fatimat is a graduating member of the Founders and Coders bootcamp. She is currently working as a developer at 27partners. Having had the opportunity to learn to code for free, she is keen on giving back to the tech community. 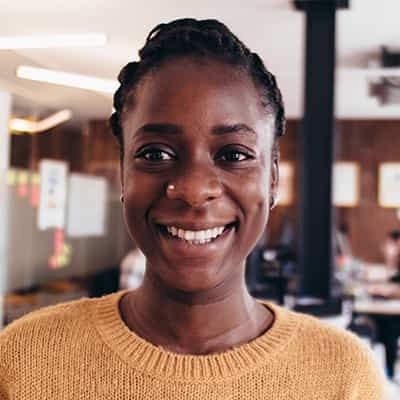 She combines her passion for teaching with her web development career by running workshops and mentoring people in the early stages of their coding journey.